For well over a decade, The Get Up Kids helped put the Midwest indie rock scene on the map with their brand of bombastic, beer-swilling, introverted punk (or rather, mid-nineties emo). 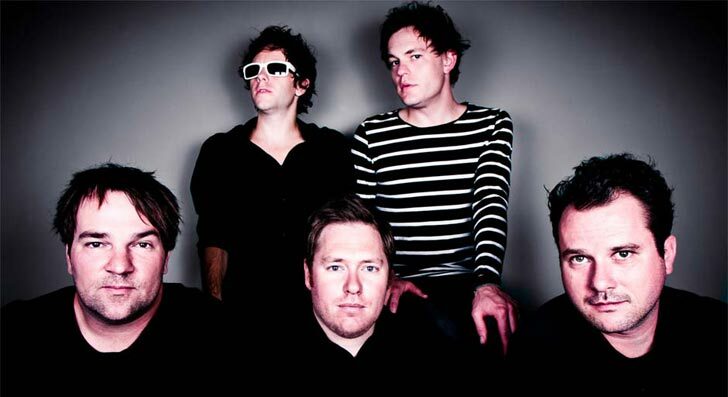 In 2005, the band called it quits and its members found their way to other projects: Matt Pryor headed his own solo work, as well as The New Amsterdams and childrens’ band, The Terrible Twos; Jim Suptic formed the power pop outfit, Blackpool Lights; James Dewees continued with Reggie and the Full Effect and joined My Chemical Romance; Rob Pope joined Spoon on bass while also heading to Koufax with his brother, Ryan, who manned the drums. The Get Up Kids’ reformation in 2008, which coincided with the 10th anniversary of their sophomore album, Something To Write Home AboutSomething To Write Home About is considered something of a seminal album, though for their subsequent releases, The Get Up Kids have constantly reinvented the wheel, which is something that is apparent on their latest full-length, There Are Rules — the first release for their self-operating label, Quality Hill. There Are Rules is equal parts shoegaze, electronic, and rock, all woven within the tapestry of the The Get Up Kids’ power pop sound. Lyrically, the band has stepped clear away from the lovelorn songs that populate their debut album, Four Minute Mile. “Lyrically it wasn’t so much what it was going to be about as much as what it wasn’t going to be about. There are no love songs on the record. There isn’t any teenage longing. I really wanted to challenge myself to write things outside of my comfort zone,” says Pryor. Going outside the band’s comfort zone isn’t anything new for Suptic or Pryor. The band’s post-Something To Write Home About record, On A Wire, was largely a downtempo affair. Despite the album’s critical acclaim, it took a while to find its audience within The Get Up Kids’ constituency, but not before the band had released the rockin’ Guilt Show and called it quits. As The Get Up Kids’ domestic touring cycle for Rules comes to a draw, its members branch out back into other parts of their lives, which include their families and other bands. These projects shift the schedule that they built up to prior to their demise six years ago, though it does allow for better camaraderie and a certain amount of freedom.